The search for Donegal’s longest missing person may be coming close to a dramatic conclusion. 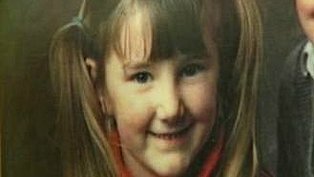 People searching for tragic Mary Boyle believe they have pinpointed the specific area where she may be. Mary was just seven when she disappeared in 1977 while out walking near her uncle Gerry Gallagher’s home in Cashelard outside Ballyshannon. Now Mary’s twin sister Ann has given Gardai her first ever statement on her sister’s disappearance. Ann, who gave her statement to Assistant Garda Commissioner Kieran Kenny said she still feels Mary is in Cashelard. “I have told the Assistant Commissioner that I believe Mary is up there at Cashelard where we are searching. And now I have given a statement. “It’s the first time I’ve ever been asked. I was a child but my memory is still good,” she said. Ann has been joined in the search by Margo who is a distant cousin of Mary’s family. She too believes they are getting close to finally giving closure to Mary’s mother Ann and all the Boyle family. “Mary will be found. There is no doubt about that. Mary wants to be found and I won’t give up until I find her. “We have been searching there since last January but we now believe we are very close,” she said. The area where the search team is now concentrating in is about 300 metres from Mary’s grandparents home whom she was visiting on the day she disappeared.